We’ve taken the science behind audio performance very seriously for over 25 years. During that time we’ve carefully researched, tested and verified the performance of our products, with leading universities and respected audio industry figures, only launching new products when we are able to contribute tangible benefits. It is over eight years since we introduced the highly regarded MR and ESA lines and improving on something that is already exceptional has taken time. 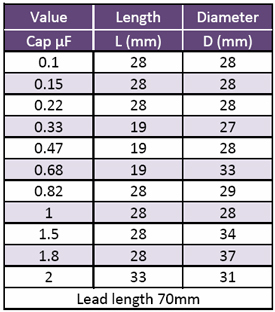 Claritycap’s unique CopperConnect technology addresses a hitherto under explored area of audio capacitor performance. Dielectric, electrode and lead wire materials have all been extensively optimised over the years. Connection of capacitor electrodes to the leads has always relied on thermal arc spray of tin-zinc, which results in hundreds of thousands of oxidised grain boundaries introducing; distortion and phase shifts at boundary crossings and increasing propagation impedance with diameter. CopperConnect technology introduces an embedded copper lattice to the end connection, dramatically reducing grain boundary crossings and signal path resistance, freeing capacitor designs to achieve new levels of audio performance. Taking inspiration from the highly regarded ESA range, the CSA employs the same carefully researched micro-phonics reducing processing parameters. 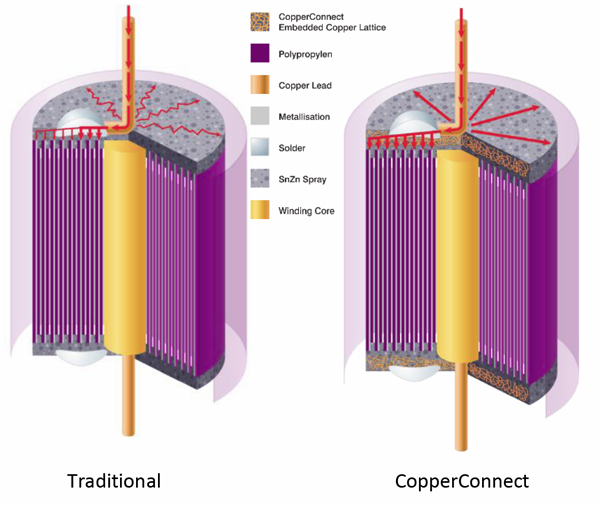 CopperConnect technology dramatically reduces grain boundary crossings in the end connection and enables designs to employ narrower films for reduced capacitor ESR, without introducing the corollary increase in end connection impedance. The philosophy of eliminating as many crystal boundaries as possible is extended to the use of premium grade 1.0mm2 tinned oxygen free copper leads. We are confident you’ll agree ClarityCap’s commitment to innovation has once again raised the bar for audiophile film capacitor performance.